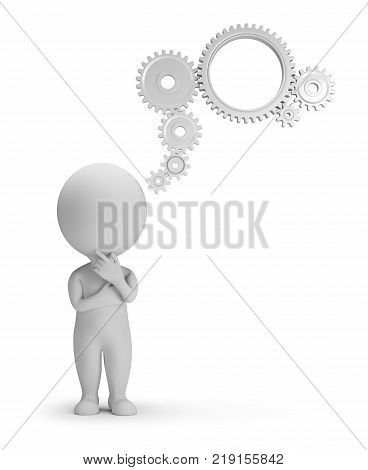 3d small people thinks. 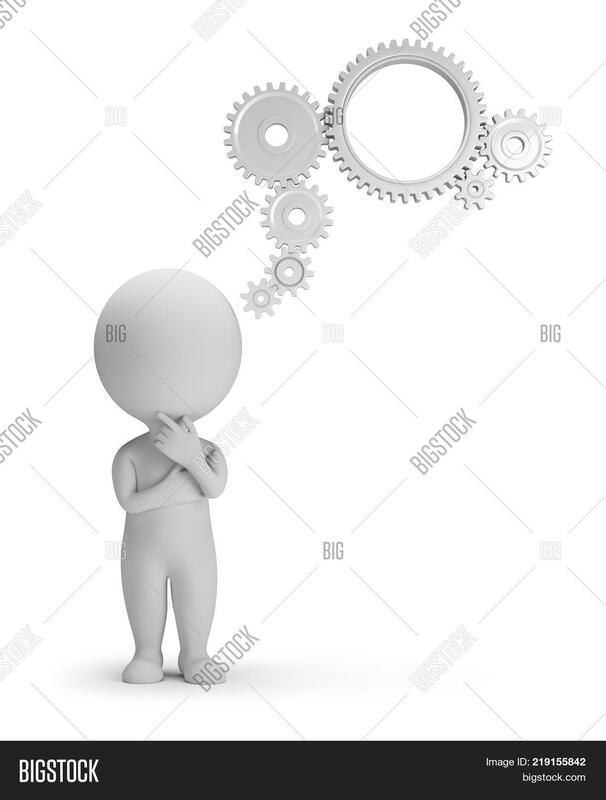 Thoughts from gears. 3d image. Isolated white background.